Granted Records welcomed Grand Daddy Jack into their brand new studio September 25 to record a couple tracks. The 9-piece jazz band chose Granted Records as their recording studio due to its ability to track all seven members simultaneously. "I'm thrilled to welcome Grand Daddy Jack to the studio," excitedly states owner Emo Alaeddin. 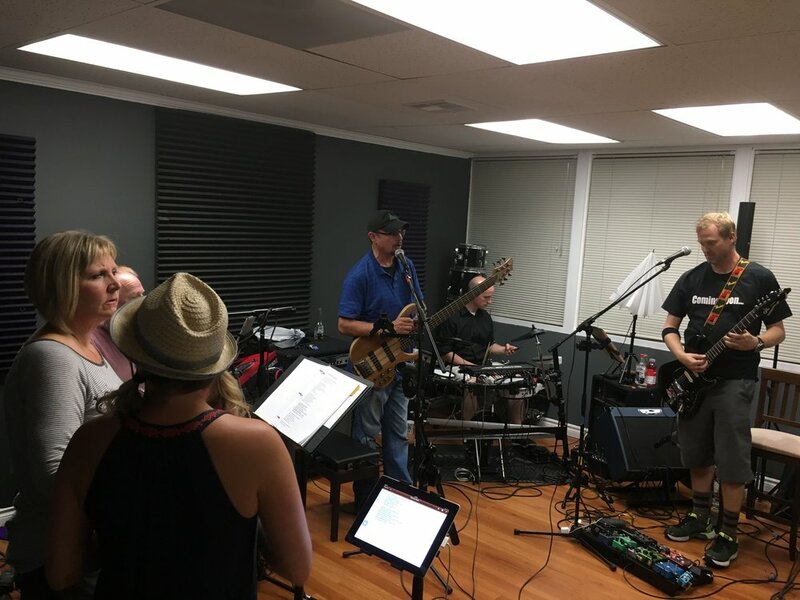 "Bringing in such a populous band displays the versatility of the studio and showcases the crystal clear sounds that our state of the art equipment can display." Grand Daddy Jack live in studio. rand Daddy Jack is a Southern-Californian jazz band offering performances for weddings, corporate events, private parties, and high-end lounges and restaurants.